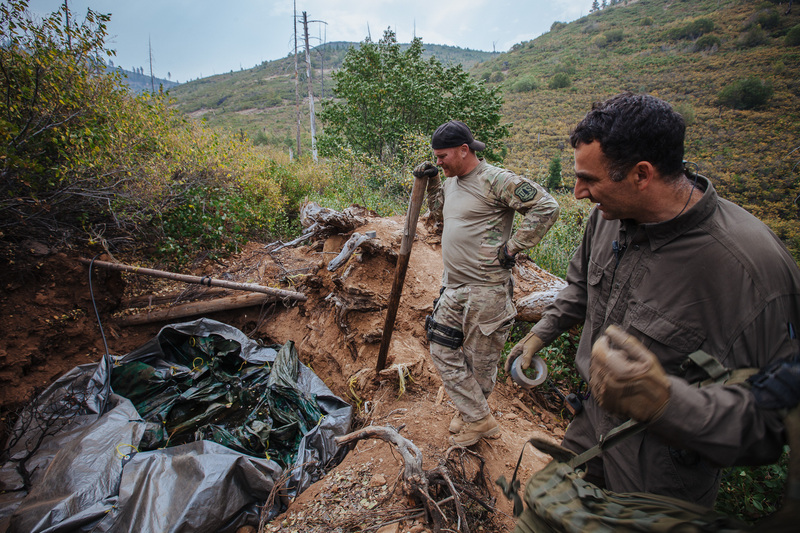 Mourad Gabriel (far right) and an accompanying law enforcement officer break down a water reservoir used by growers to irrigate marijuana crops in Plumas National Forest. The water is often toxic, and animals fall into these reservoirs. While teams were reclaiming a site earlier in the season, a member of the law enforcement team fell into a pit. He had to be medevaced out due to poisoning.